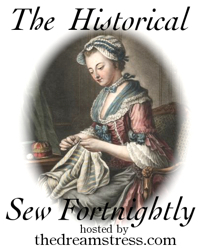 The next item in my men’s Regency wardrobe is a pair of breeches. 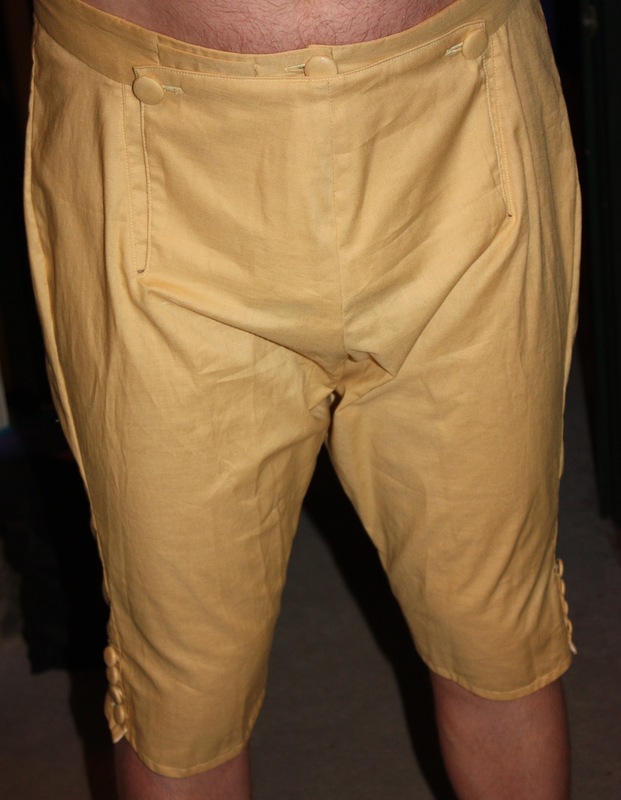 Men had been wearing different forms of breeches since the early sixteenth century. They were made from a wide variety of materials, but leather was used from the beginning of the eighteenth century. In Joe Miller’s Jests, published in 1739, there is one particular comical story concerning this piece of gentleman’s clothing. I have inserted quotations marks (which don’t seem to be always used in the eighteenth century) to help with understanding. They had a front fall, rather than a fly. The seat was baggy, but the legs were tight. 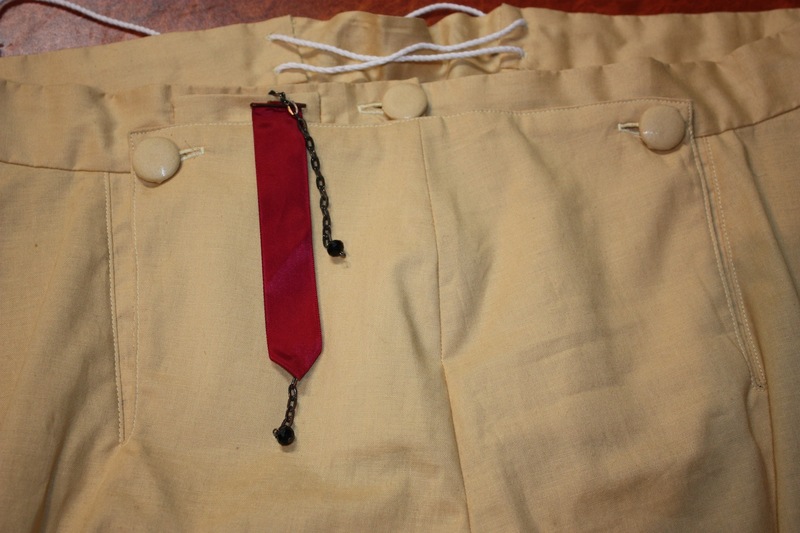 The pant legs reached to just below the knees and were done up with buttons, as well as either drawstrings or a buckle strap. There was a V-shaped gusset in the centre back seam which was laced up. 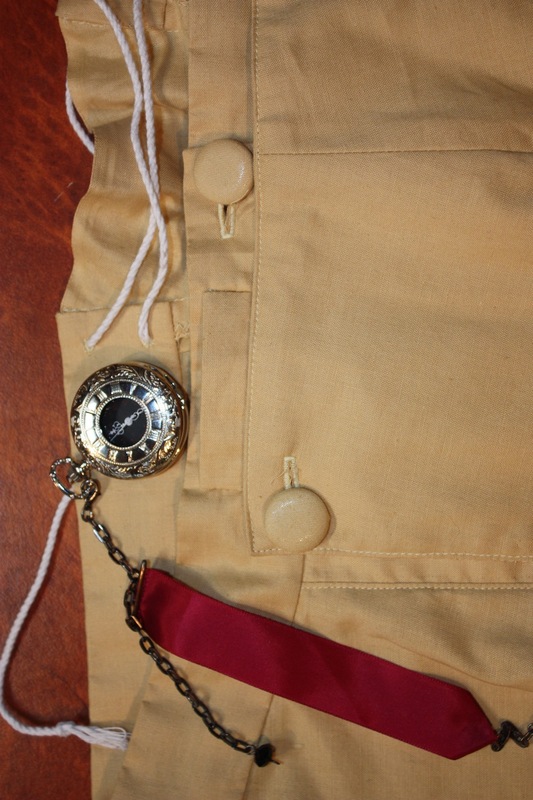 There was a small fob pocket, usually up near the waistband, to keep a pocket watch in. 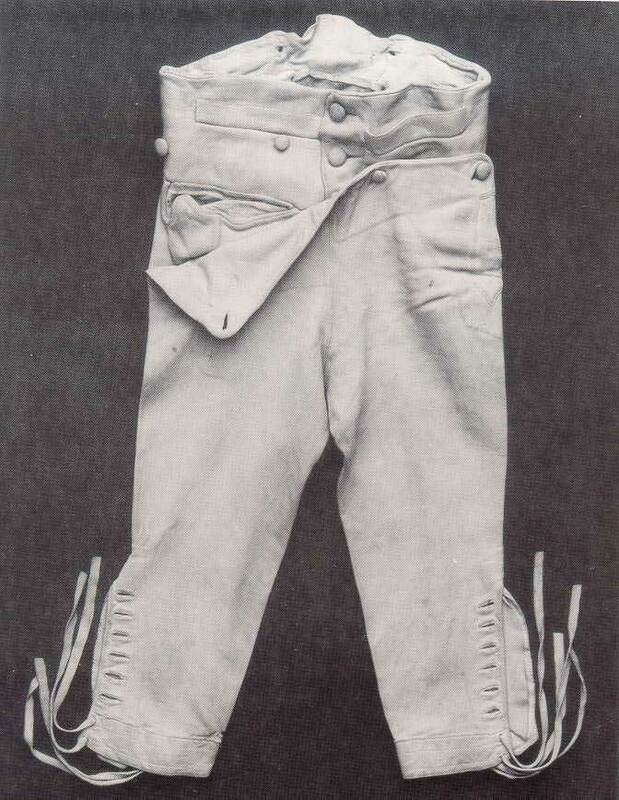 By the later Regency, breeches were going out of fashion for daywear and were replaced by the longer “trowsers”. 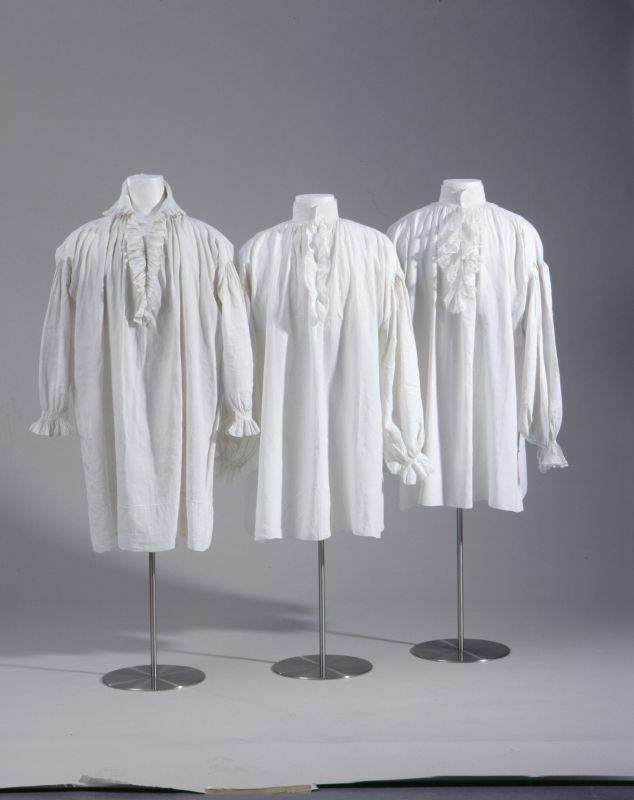 Breeches still remained fashionable for evening wear, though they were made of more formal materials, like white satin. 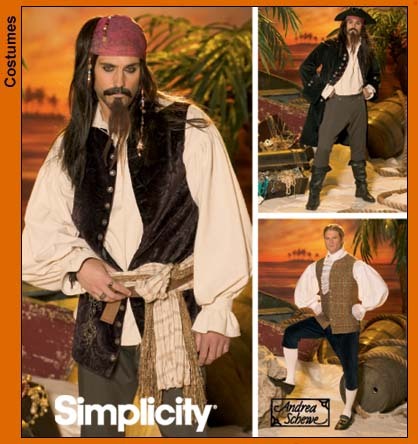 I found that the Simplicity pattern #4923 was a useful pattern for the front fall breeches. 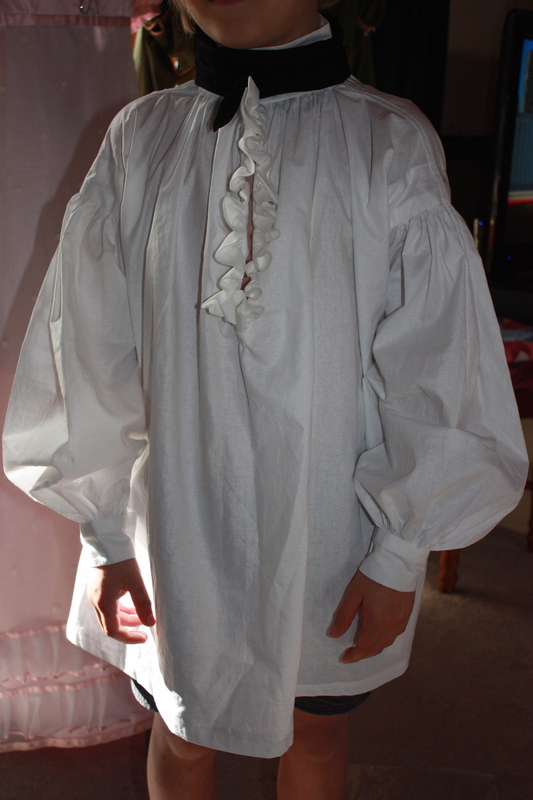 It has pretty good historical accuracy overall, and is still quite easy to sew. The sewing instructions are pretty good, so I won’t bother detailing any construction steps. Instead, I will outline the alterations I made to the pattern to make it a little more historically accurate. V-shaped gusset at back: I inserted a triangular gusset in the centre back seam and hand sewed some eyelets in the waistband. It was then laced up with some cotton cording. Fob pocket: I put a small single welt pocket (big enough to fit a fob watch) in the waistband. The pocket goes straight through the waistband, so the pocket bag is easily visible on the inside. I also had to make a “little decorative bit” to aid the gentleman in fob-watch-extraction! The watch inside the pocket, with the “decoration” dangling outside. The “decoration” is made from a bent bobby hairpin, a ribbon, some small pieces of chain and some beads. 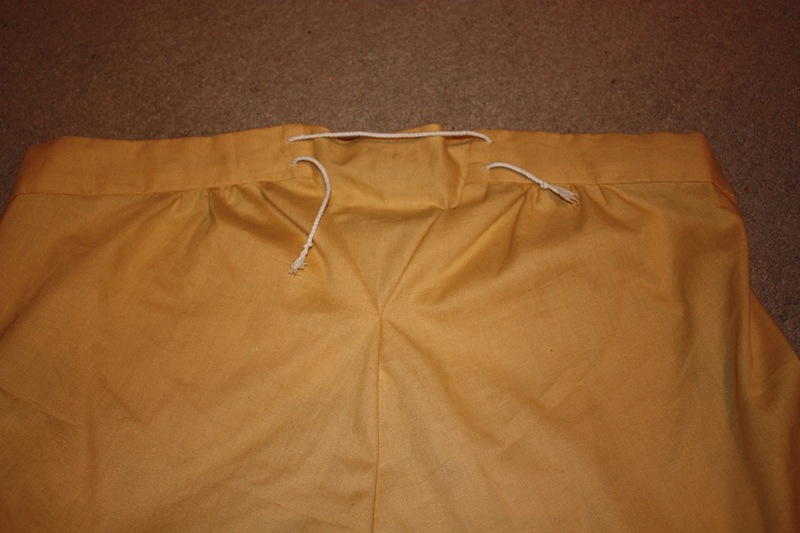 Tighter and shorter pant legs: I made the pant legs a lot tighter than the pattern picture, as this particular pattern is probably more suited to the early eighteenth century. 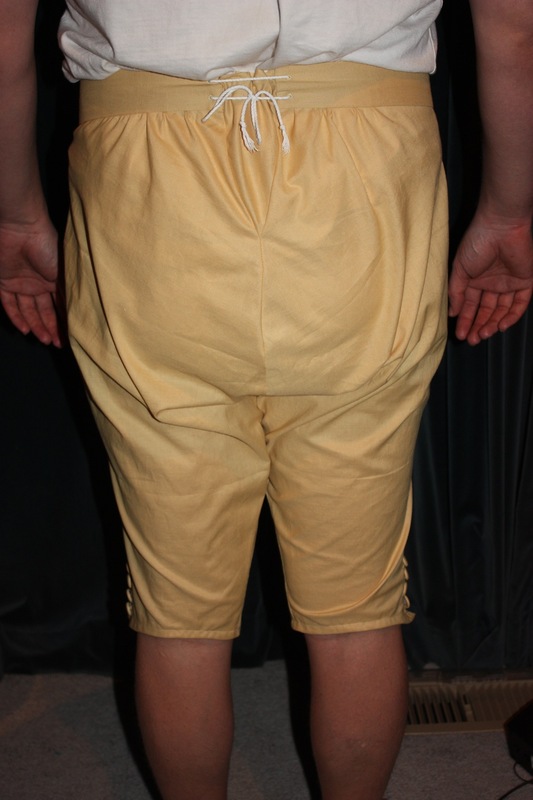 My breeches were made from a yellow-gold cotton broadcloth, so the breeches were never going to be as fitted as buckskin breeches were. 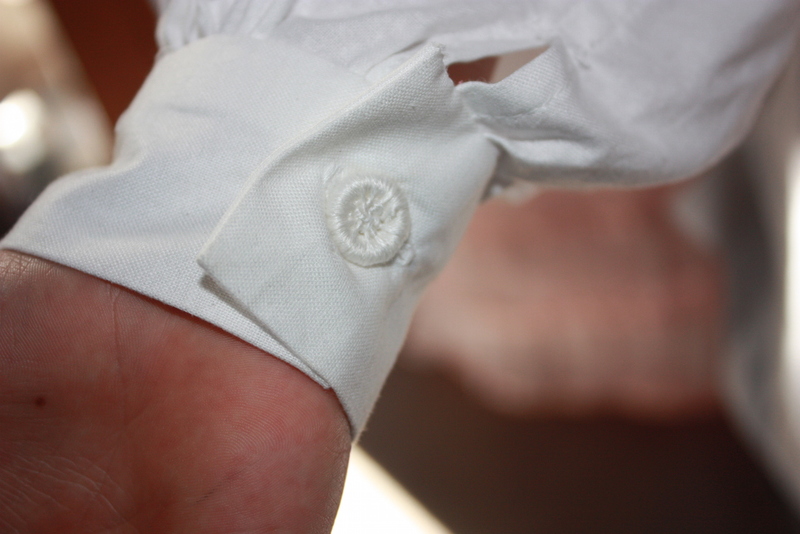 However, I made them as comfortably fitted as I could, making sure the wearer could still move. I also made them slightly shorter, to reach just below the kneecap. The final product! I found the front of the crotch to be particularly saggy in this pattern, and so had to do some alterations to make it fit better. I am fairly happy with the result, even though cotton can never really be a good clothing substitute for leather! 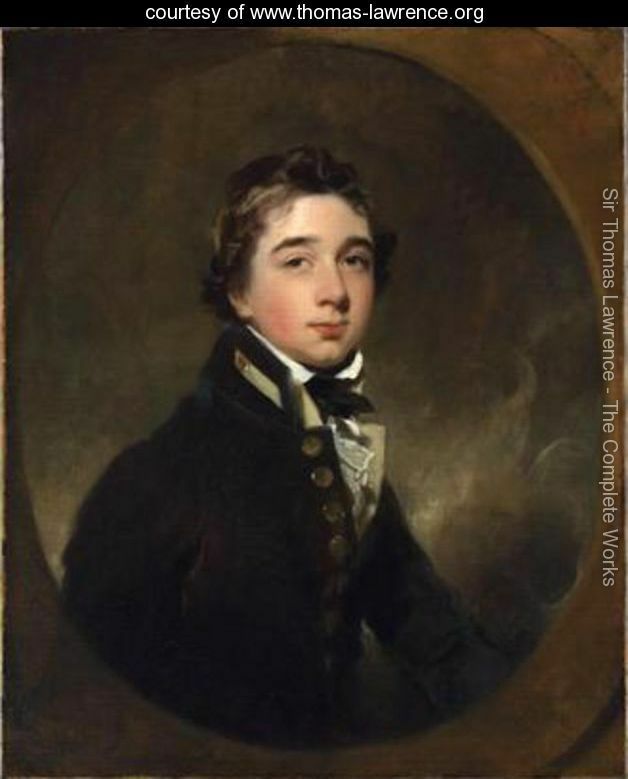 The next post in this series will look at the Regency Gentleman’s accessories, which complete his clothing ensemble. 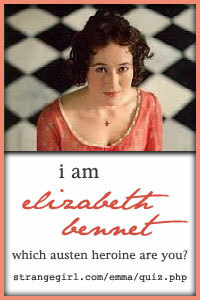 To read all of these posts in order, go to My Regency Journey and look under MY Mr Knightley.